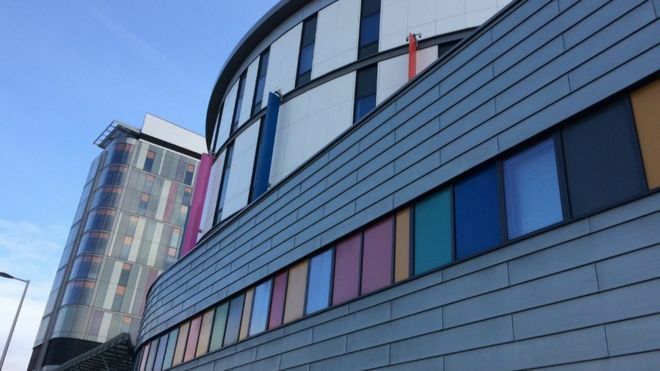 Child cancer patients at the Royal Hospital for Sick Children in Glasgow have been moved from two wards due to problems with the water supply. For the first six months of the year a number of patients in wards 2A and 2B were affected by bacteraemia. NHS Greater Glasgow and Clyde (NHSGGC) said extensive work was carried out on the taps in the wards. The original work involved replacing the metal parts inside taps with plastic ones; fitting filters to the taps and cleaning the drains with a chlorine based detergent and cleaning with Hydrogen Peroxide Vapour (HPV). But in recent weeks six new cases have been reported and an incident management team has now been appointed. On the fresh cases, an NHSGGC spokeswoman said: “What we are seeing is a build-up of biofilm in the drains which is the same sort of biofilm we get in domestic sink drains. “This build-up has happened only seven weeks after they were cleaned by HPV. “We have worked with national experts in Scotland and sought advice from UK experts on the issue as we seek to find a permanent solution and understand why this has happened. NHSGGC said four bone marrow patients would move to the bone marrow adult ward (4B) in the adjoining Queen Elizabeth University Hospital (QEUH). The remainder of the 22 patients from ward 2A and the outpatients who attend ward 2B – which is a day case ward with no inpatients – will move to another ward in the QEUH. The spokeswoman added: “Patient safety is the one key overriding issue and this temporary move will enable our technical experts to make thorough investigations.